With all the attention focused on Brian the Discovery bat, did everyone possibly miss this? 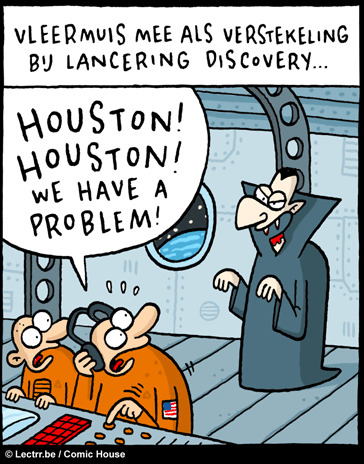 I sense perhaps the bat was just NASA’s way of diverting our attention from more serious problems. Thanks to Universe Today reader T. Cook and friend for creating and sharing this image! They heard there was ice on Mars, so long and thanks for all the seal. …It looks shopped to me. Damn, those Coca Cola marketing department people are SLICK. Pity about the bear though. cheers to Polarboar for the most clever comment of the bunch! The bear was clearly abandoning the planet due to global warming. I would like to know what ‘bat’ means, and so what ‘brian-the-discovery-bat’ means. The photo must be Photoshopped, and a fine piece of work, too, and is almost irrelevant to anything ‘up, up and away’. I like the idea of pre-April-Fool trickery. Here is Oz, we have polar bears being associated with Sennets Icecream and Buncaberg (alcoholic) beverages. Naturally there are none down here. Leave it to the government for yet another cover-up. Any one out there that thinks this is a REAL picture of a polar bear on the fuel tank? If so, I have some land to sell you about twenty miles east of Miami. Great property!! Lots of water nearby!! I’m pretty much with everyone on this one and it’s a shopped photo. I have no proof it’s shopped and no one has shown any proof either. So assuming this is true how the hell did the bear get up there? Bridh – “bat” means, um…. bat! (or to be precise, a flying nocturnal mammal with membranous wings that extend between the fingers and limbs). And everyone else, I happen to know for a fact from a reliable source within NASA, that this is a genuine photo, not ‘shopped’. It was arranged as part of a promotional activity…. They should’ve placed David Hasselhof on top of the rocket. This must be an unknown species of GIGANTIC polar bear! Compare his size to that of , say, the windows on the shuttle and his enormity is revealed. Maybe he’s the last of his kind. No, no, no. Everyone is missing the point. We humans are the last to find out that the mini-bigfoots on Mars taste good. He, he, he, Hasselhoff. Hasselhof segues are always funny. While I appreciate and understand the jovial nature of this discussion I feel I must intervene. During my 25 years service in the Navy I had to deal with no less that 100 Polar Bear/Nuclear Warhead related issues. This is no laughing matter. Prior to any test launch, it was my responsibility to remove said Polar Bears. While it was rare to find one perched atop the warhead, it was not uncommon to find them hiding within an exhaust cone. I sustained many injuries during the extraction process and I thank you not to belittle what is a genuine and important problem! How could a Polar Bear ever generate the 1.21 Jiggawatts of eletricity he needs to get on top of the cone?!?! Polar bears are crafty. Without thumbs, how do they get those bottles of Coca Cola open? Sure they’re strong, but they don’t break the bottles. @Lt Fox Chunder: You win. That comment is made of awesome. After reaching at least 88mph, you can accomplish anything. Not many people spotted the” tiger in the tank”. Showing my age now. You can BEARly miss it. How did the bear get up there? Well, the bat took him there of course, why do you think the bat broke its wing? And it’s obvious why he wanted to get there: it’s too hot in Florida for polar bears, so he looked for a cooler place. Where better to sit than on top of the supercooled liquid hydrogen tank? Maybe he thought he was heading to a polar orbit. Previous PostPrevious Spaceship Sighting Alert! Next PostNext SkyWatcher’s Forecast: March 20-26, 2009 – A Messier Marathon Special Edition!